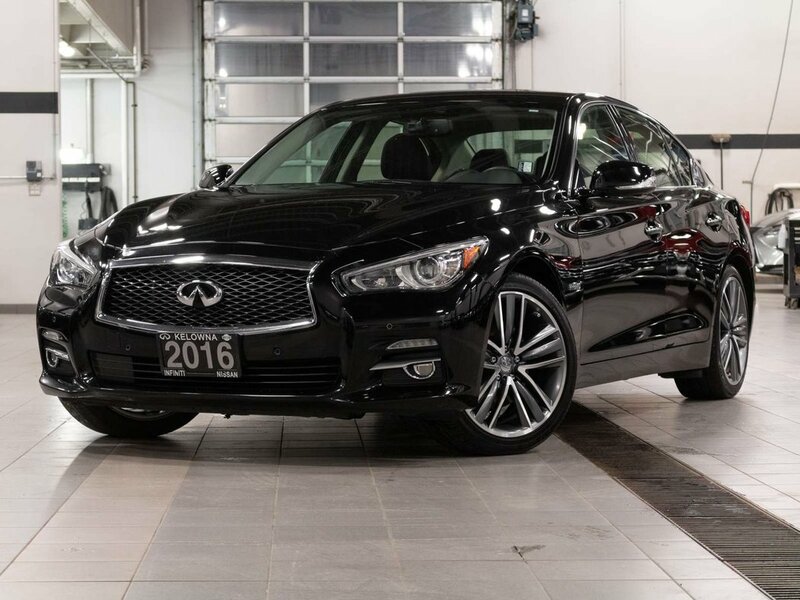 This one owner owner 2016 Infiniti Q50 Hybrid was purchased brand new from our dealership and has remained locally driven and registered since new. 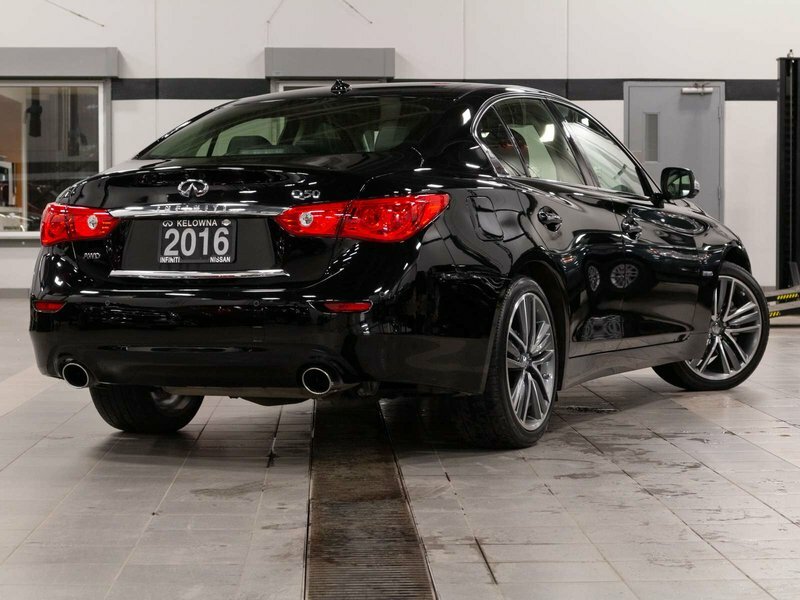 Brand new MSRP was $58,395! 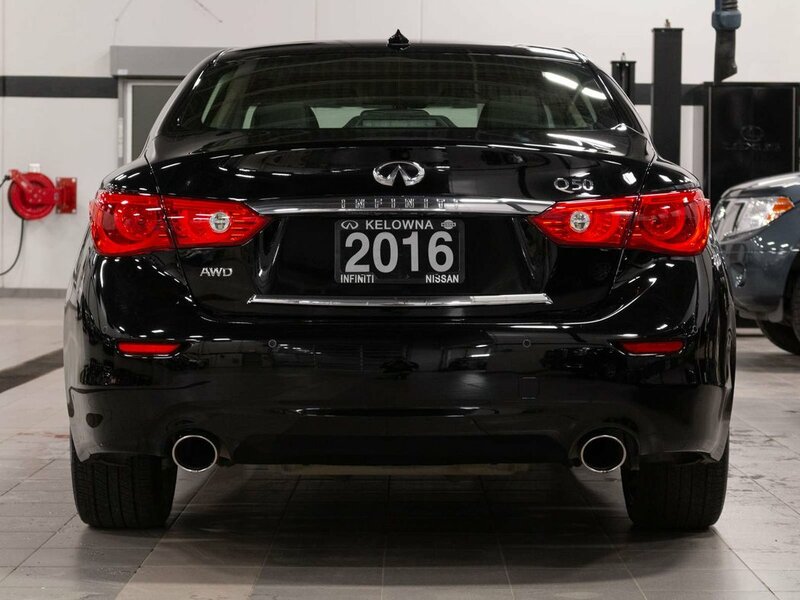 It has never been in an accident, was never smoked in, and was kept routinely maintained. 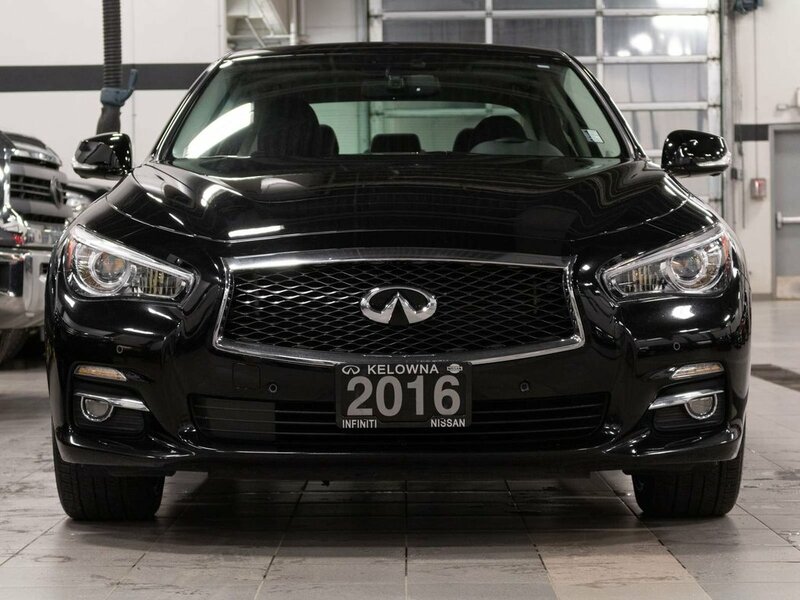 This Q50 Hyrbid was used primarily around town as a daily commuter vehicle and has only accumulated 30,015km on the odometer since new. 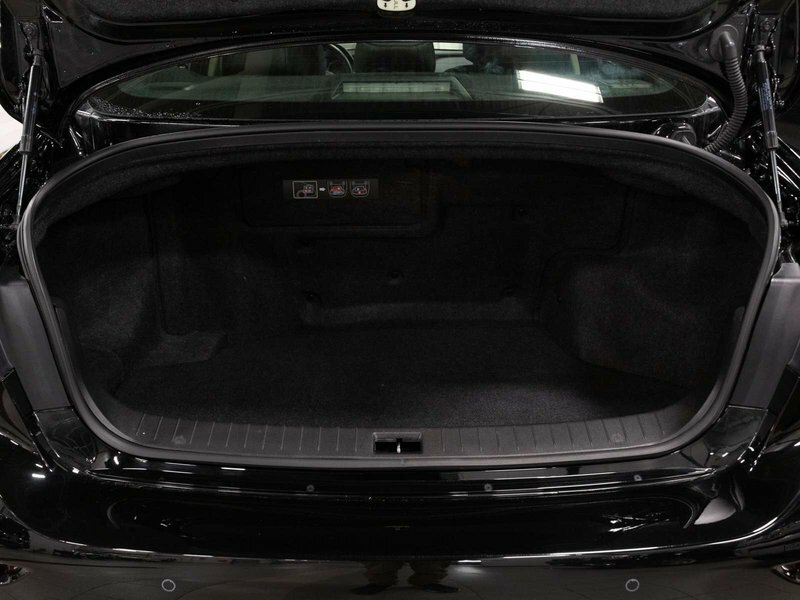 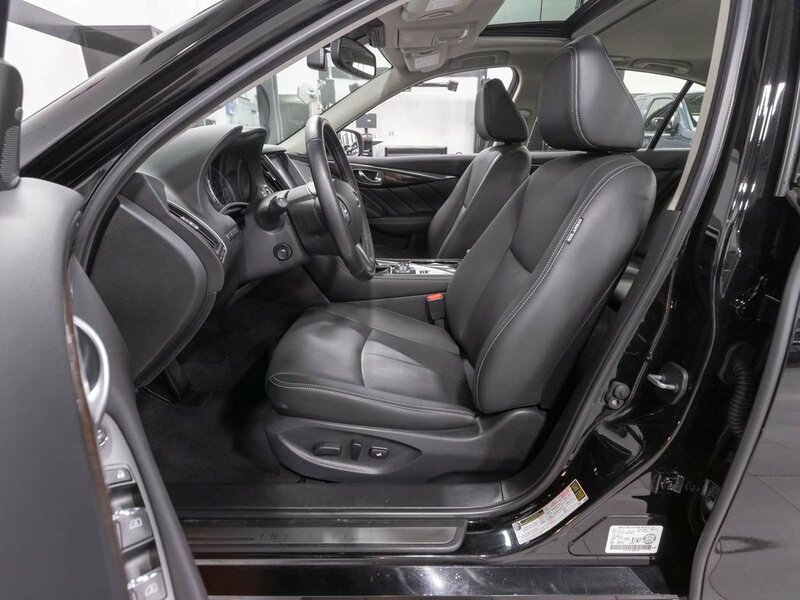 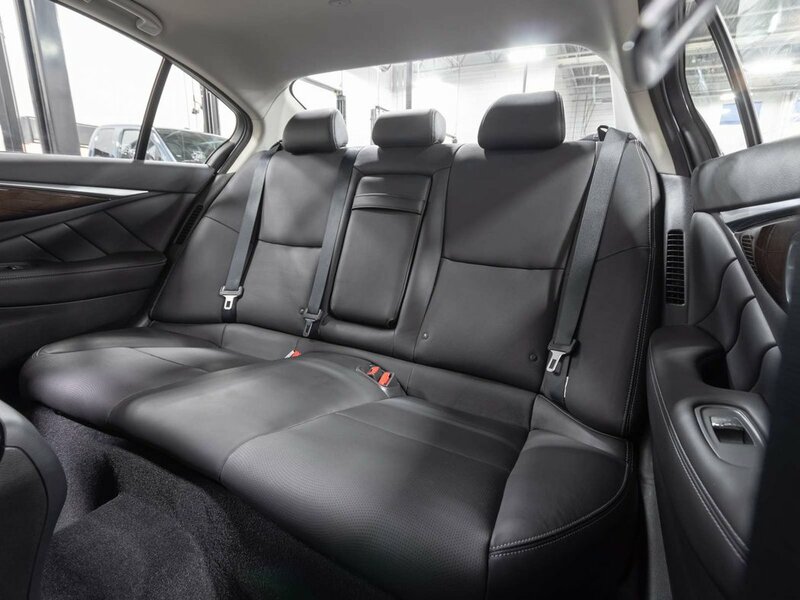 It comes coated in the popular Black Obsidian exterior paint which is paired perfectly with a Black leather interior. 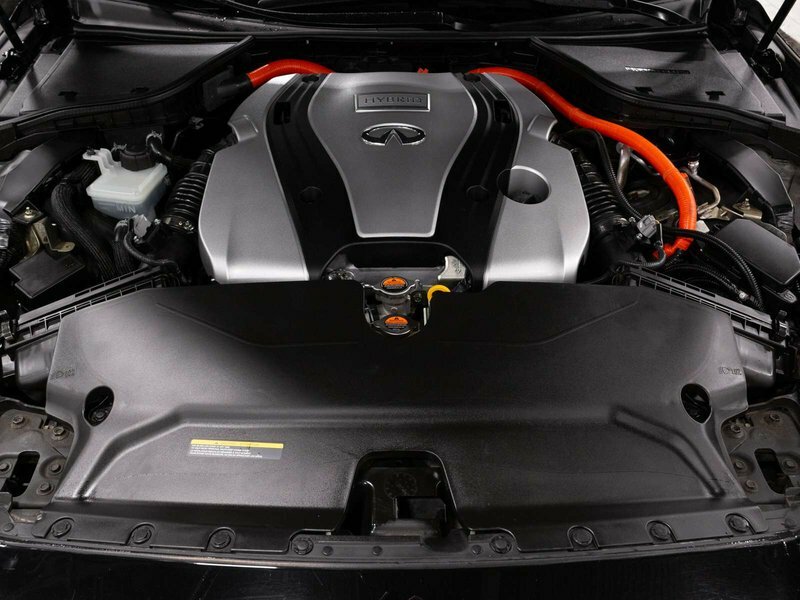 During the multi-point inspection process the engine oil and oil filter were changed and the engine air filter was replaced. 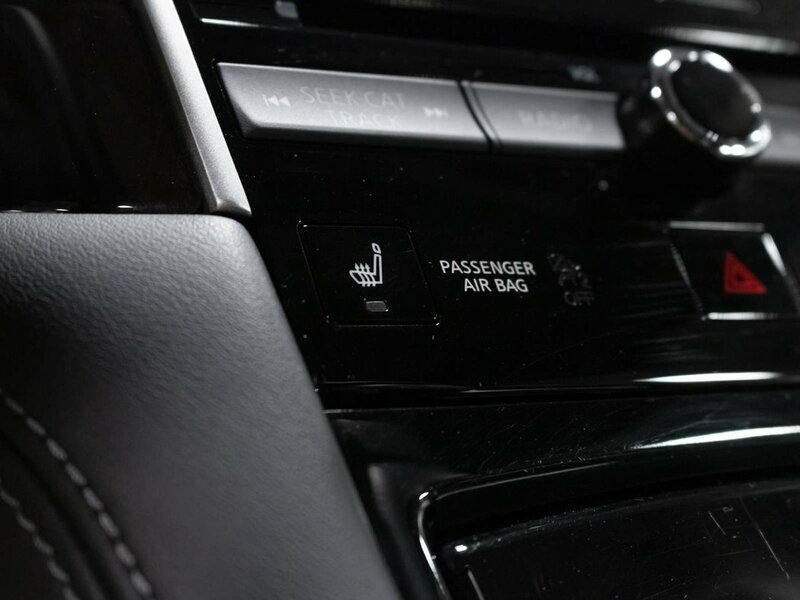 This vehicle comes with both sets of keys and all owner's manuals. 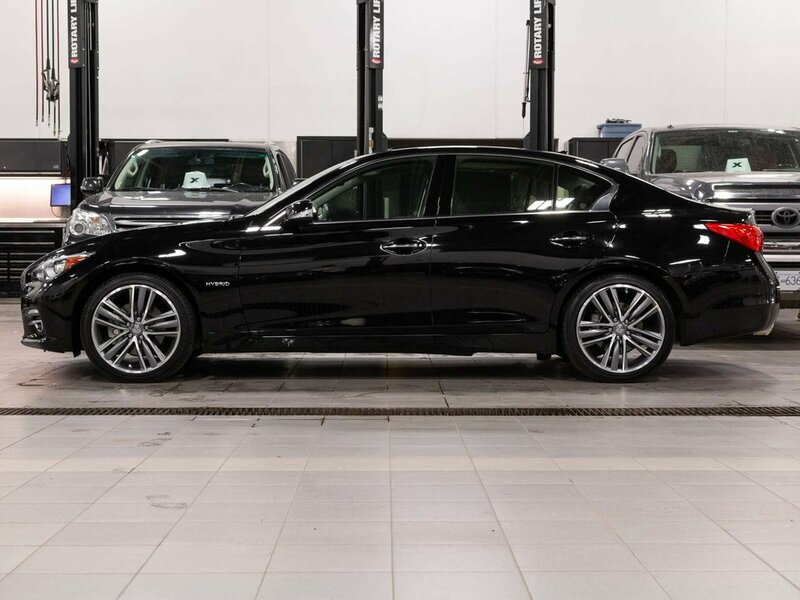 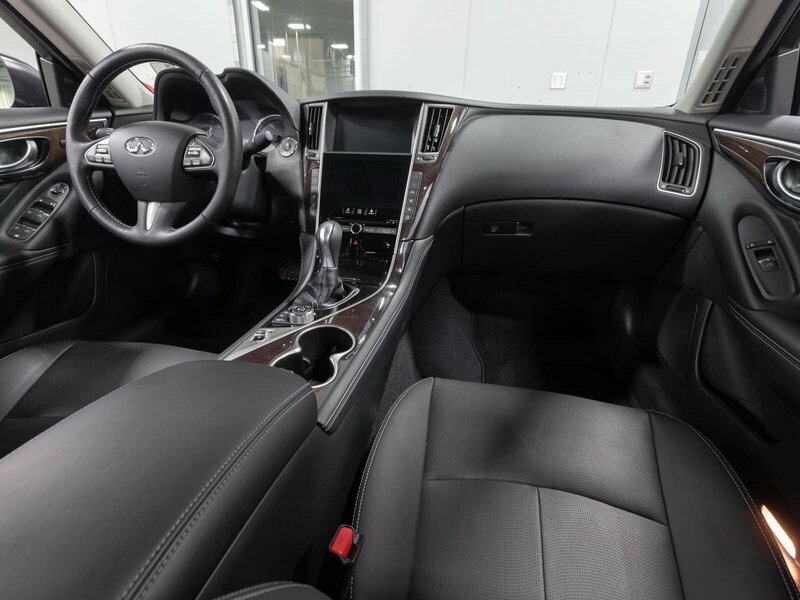 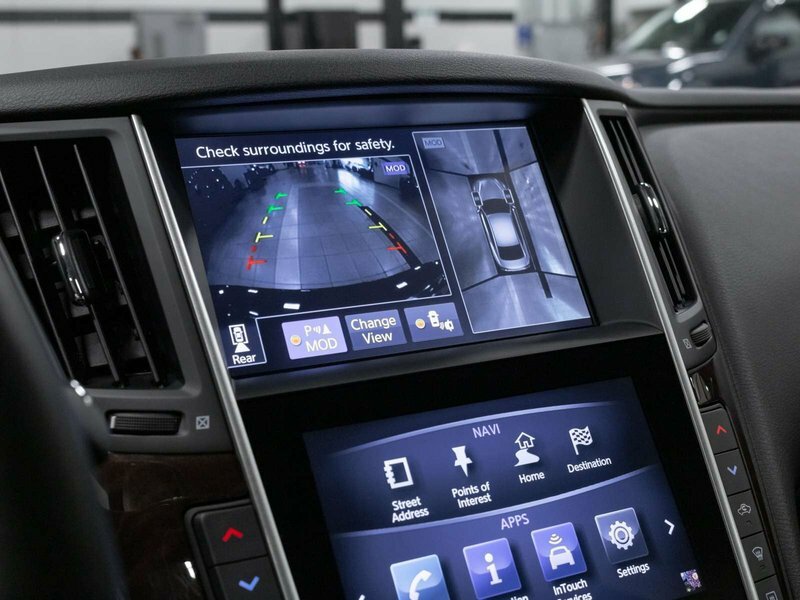 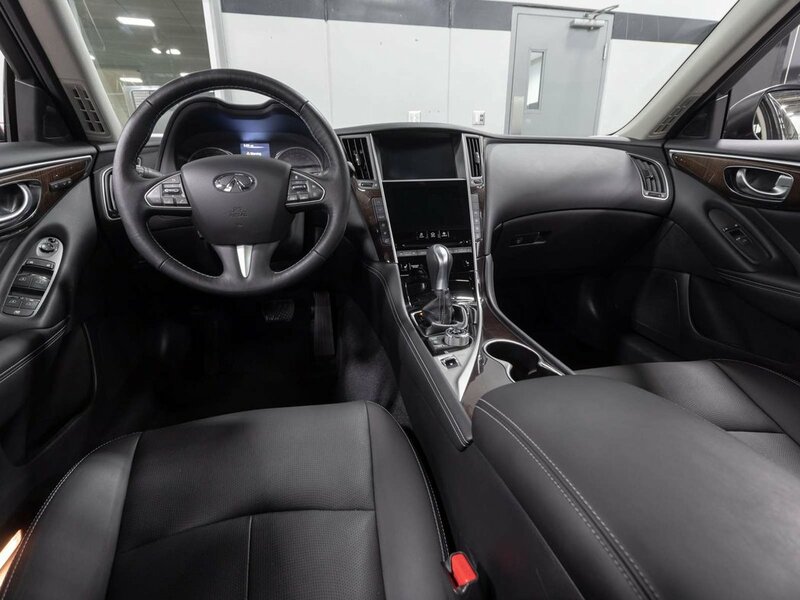 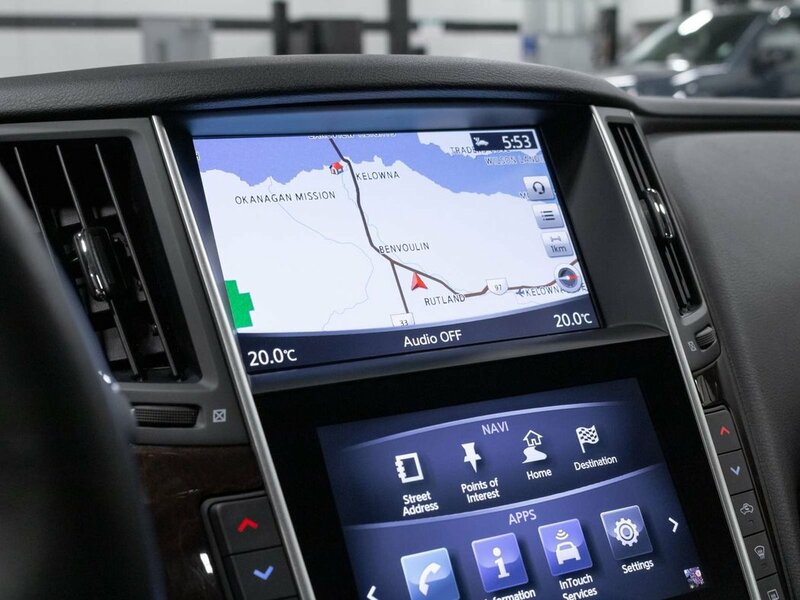 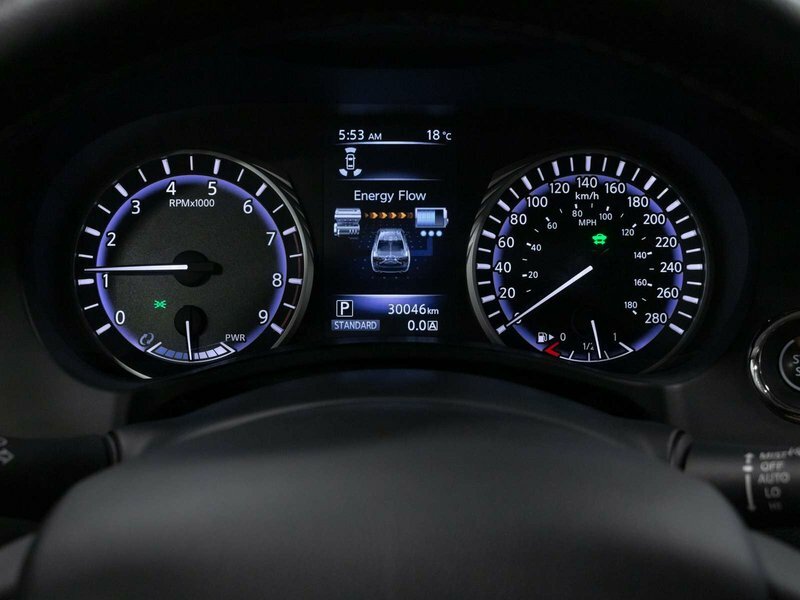 This Q50 Hybrid edition is well equipped with many great options including heated front seats, dual zone automatic climate control, navigation, around view monitor, sunroof, blind spot warning, lane departure warning & prevention, BOSE premium CD/XM audio system, InTouch dual display system, intelligent key, push start, and more! 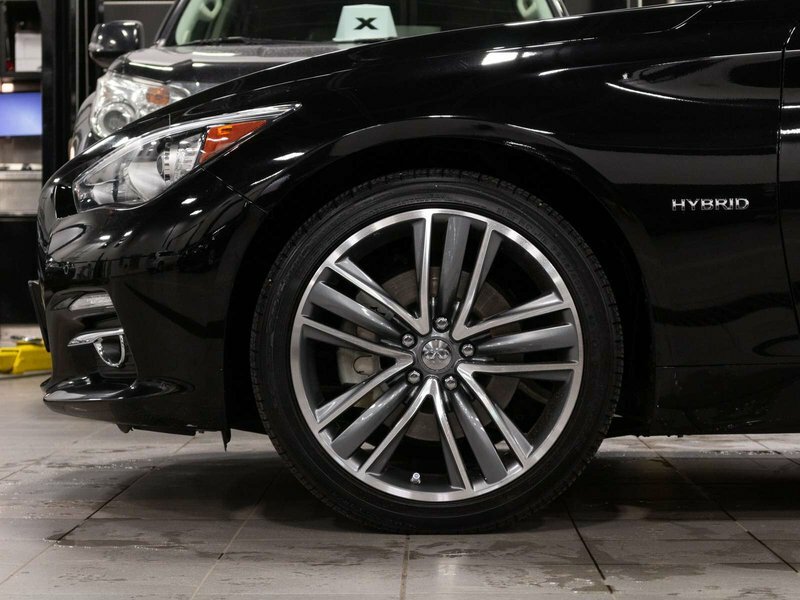 Contact the dealership at 250-448-2306 for additional information and your personal walk-around video.